Mushrooms add such a delicious substantiality to any dish. They can be quite delicate though, so the quick cooking times of stir fries are particularly great for these delicious fungi. 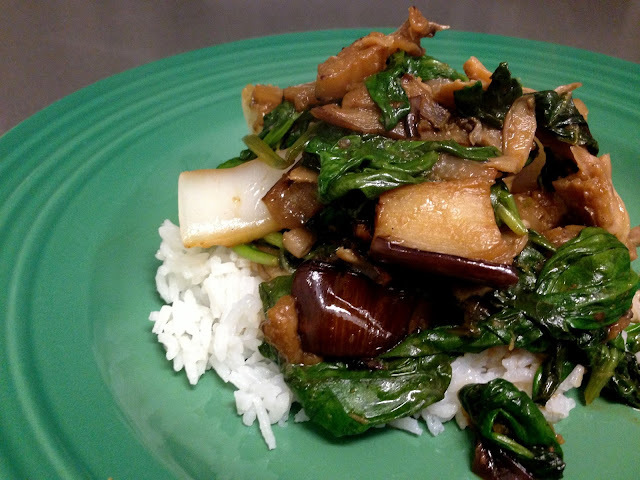 Pair them with eggplant, and even the most dedicated meat eaters won't find anything missing in this vegetarian dish. 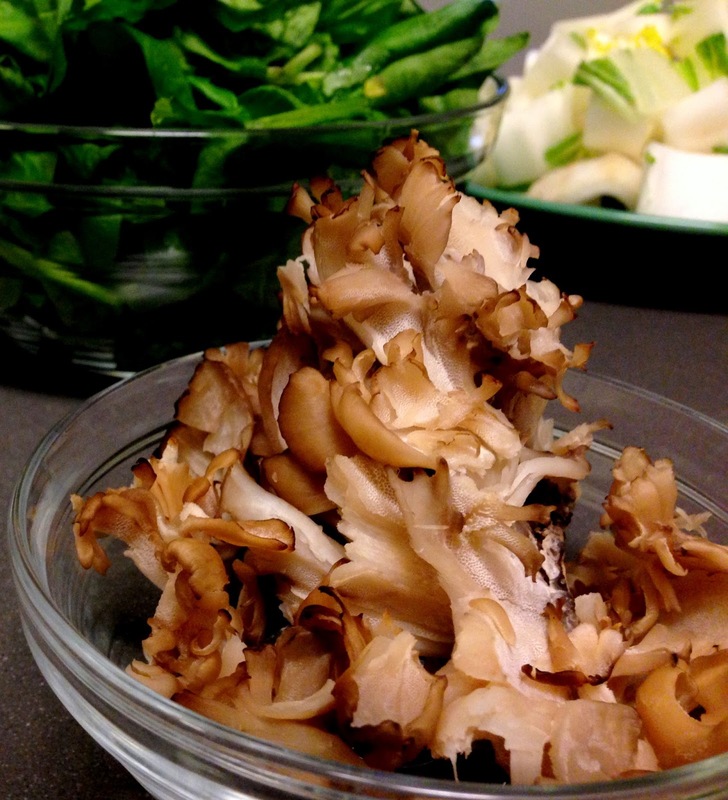 For this dish I used Hen of the Woods (or Maitake) which don't require (and nor can they really withstand) much cooking. 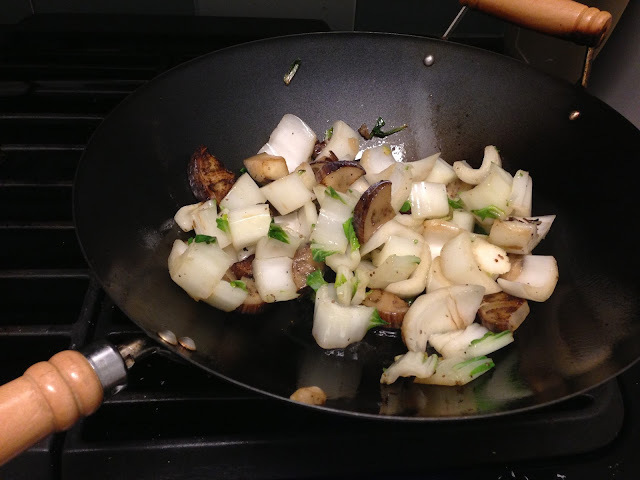 If you used a sturdier mushroom, like a cremini or a portabello, you would need a slightly longer cooking time. 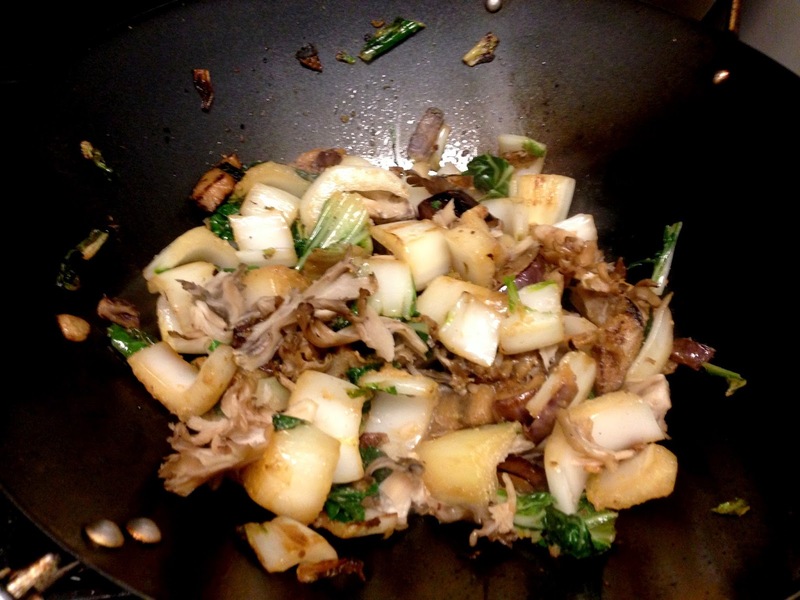 In a bowl, mix together the soy sauce, hoisin sauce, worcestershire sauce, and lemon juice. Chop the eggplant and bok choy into 1 inch pieces. Separate the thicker stem pieces from the leafy pieces - you want to put the stem in first so it has longer to cook and soften. Heat a wok on high. 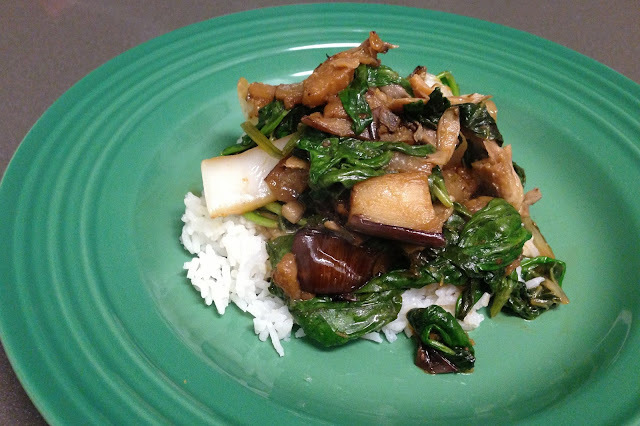 When it starts to smoke, add in the sesame oil, swirl it around, then add in the eggplant and stir fry for 2-3 minutes. 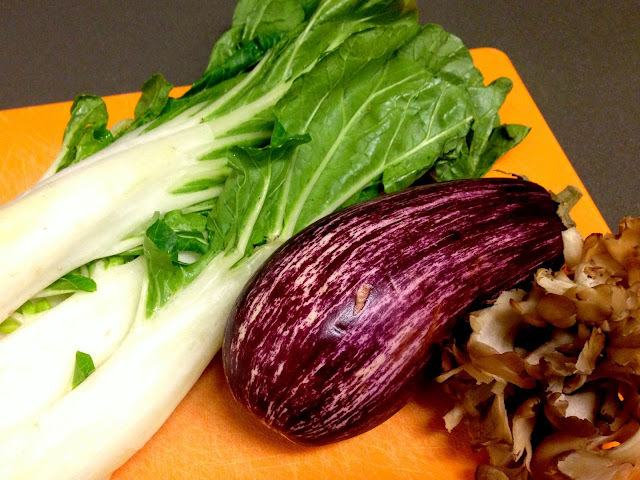 Add in the thick stem of the bok choy and cook for 3-4 minutes. Add in the ginger and garlic and continue to cook for another minute. Add in the mushrooms and leafy parts of the bok choy and cook for 2 minutes. 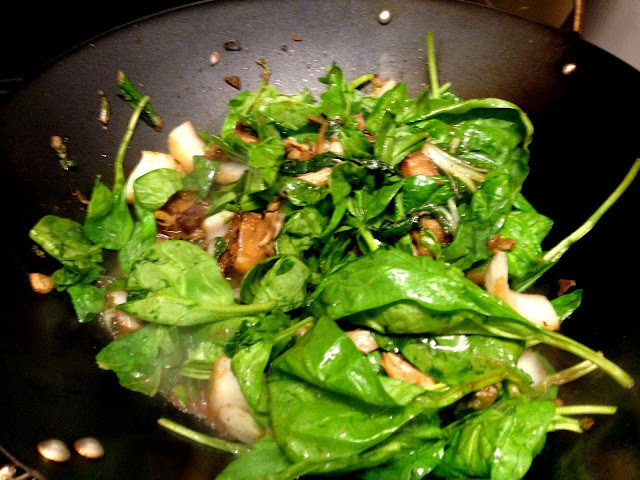 Add the spinach, pour in the sauce mixture, and stir fry for another minute. 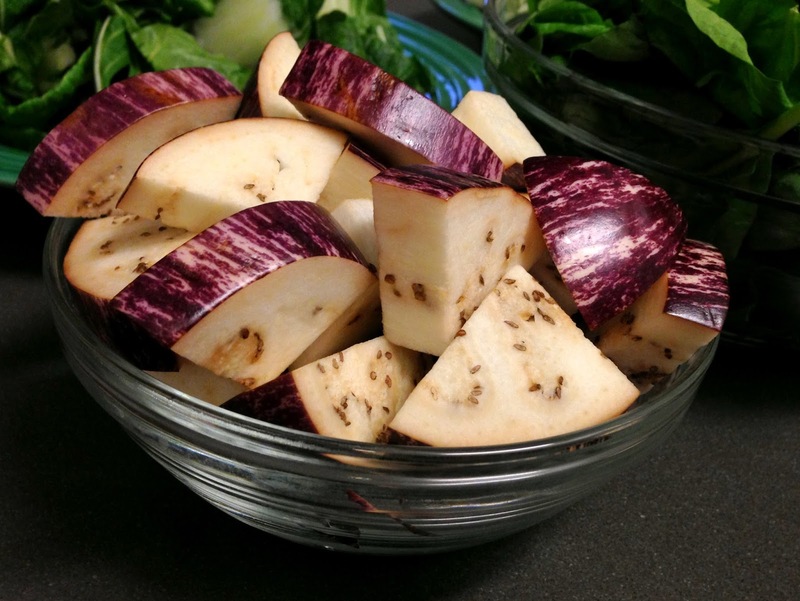 This recipe is very delicious and very healthy! I'm sure this recipe was made for all vegetarian! I can't wait to try this when I get home. Anyway, thanks for sharing! Please keep updating your blog. Thank you! Do try it and let me know how it turns out! I must try some stir fry recipes from your blog too - they look delicious.